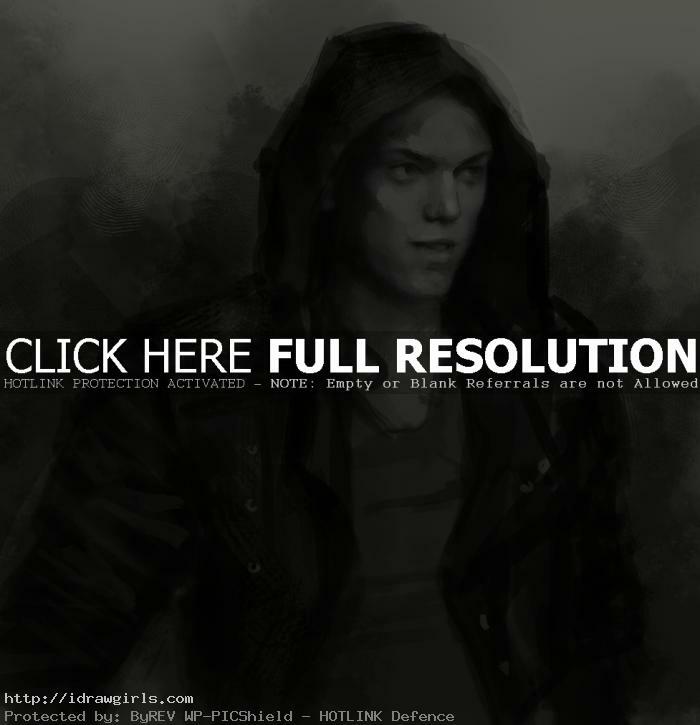 How to draw Jace Wayland, a shadowhunter, from City of Bones; Immortal Instrument book 1. Jace Herondale is one of the main characters of The Mortal Instruments. He is a Shadowhunter currently residing in the New York Institute. He will be portrayed by Jamie Campbell Bower in the upcoming film adaptation, The Mortal Instruments: City of Bones. Jace was born to Stephen and Celine Herondale. While he was still in Celine’s womb, Valentine Morgenstern constantly gave Celine Herondale Ithuriel’s angel blood – without her knowledge – to mix with her food and her unborn baby’s blood. I came across this title while I was looking for some new gothic fantasy or steam punk novel that involves supernatural skills and demons. It has a lot of good characters, creatures, werewolf, vampires, and tons of cool monsters so I bought it. I have to admit that I like the first book so far. It has a good pace and many cool creatures. 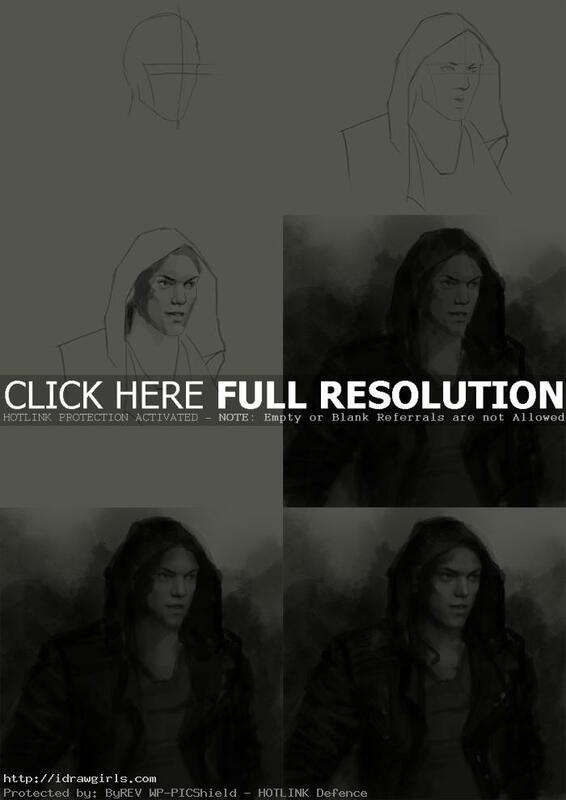 Below are step by step how to draw Jace Wayland. 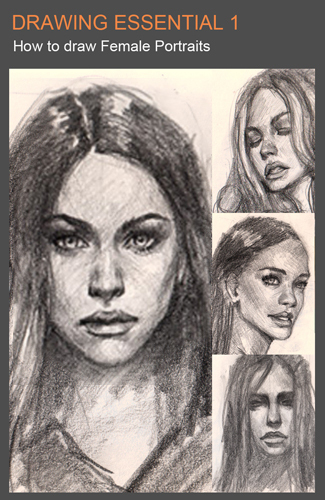 FYI, this is just a quick walk thru, you can get more detail on portrait drawing on my other tutorials (since I have done so many), look under face subject on top. I usually start with an oval shape drawing. On this one I am going make it three quarter view. Step one, imagine a flat plane on front surface of an oval, then draw two vertical lines along the edge of your imaginary plane. After that, draw a vertical line to split the flat plane in half from top to bottom. Then draw a horizontal line to divide the top and bottom distance in half. This horizontal line would be where humans eyes should be, they are usually right in the middle of the face horizontally. Step two, I draw the eyes, it should no be taller than the distance of the top and bottom horizontal lines that I added on to the first horizontal. I draw the corner of both eyes in relation to the first eye’s indication line. Also the distance between the two eyes should equal one eye. So when you draw, imagine there is an invisible eye in between them. Then I begin to draw the nose and lips. I add his hoodie. Step three, I now focus on the facial feature. Step four, I then start to add some hair to her face. Step five, I draw more hair and her top. Step six, now I focus on shaping her face using light and shadow or gray scale. Below are video demo on Portraits drawing tips and technique. 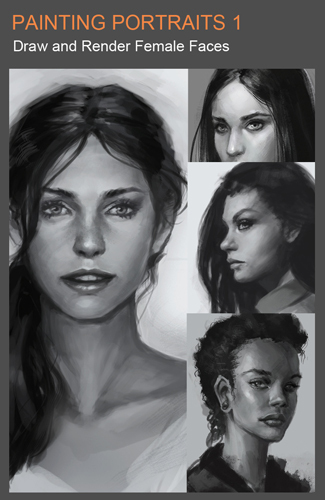 Learn to Draw Face Portrait Shading and render short video demo. the drawing is really good! better than i could draw! though at the top with the intro to it, the series is “The Mortal Instruments”. Not “The Immortal Instruments”. He is from book one. “The City of Bones”.